Plantain Farming Business Plan / Feasibility Study – It is important to write out your business plan, before venturing into plantain farming. This is the hallmark of a serious and successful entrepreneur. 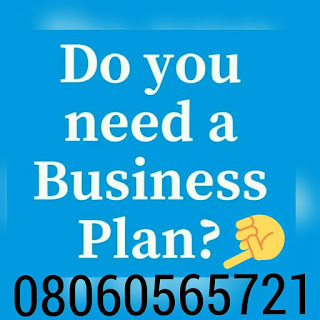 Your business plan should capture your vision and mission statements, your marketing strategies, market analysis, financial projections, funding etc. When you write down your business plan, it is easier to see need for expansion of your business to include other things like plantain processing. Plantain farming is one of the few agricultural ventures that can be described as a true investment. It is easy and less complicated to run. It should however be noted that plantains do not thrive in every environment, example South Africa. So it is important to conduct research before venturing into plantain farming. Research gives you ideas on suitable farm areas to grow plantains, where to get suckers and where to market your plantains. After paying for your Plantain Farming Business In Nigeria Feasibility/Business Plan and Manual, send your email and payment details to 08060565721. To engage in commercial farming you will need at least two hectares of land. The next step after acquiring a farmland is to prepare the soil. Clear the land and cut some of the trees if any. The proposed soil must be a well drained land that is rich and naturally fertilized as young plantain plants do not do well in wet conditions. If such lands are not available it is important to revitalize the soil by using manure and compost fertilizers. Plantains cannot be propagated from seeds like other trees. They are vegetatively propagated most often from suckers. How to source suckers in large quantities is a key factor that affects plans of venturing into plantain farming. However when one is able to source for suckers, and get started with plantain farming, the plantain grows rapidly and reproduces without stress. The farm can be sustained for decades without need for new suckers. When buying your suckers, it is very important to buy from reputable farms. A plantain farm plantation is not a business for one person alone. A single individual cannot be the CEO, labourer, marketer etc at the same time, thus the need for labourers. Labourers are needed to help in preparing the lands, to plant and water the plantains, and to weed and harvest the plantains. Farm labourers are cheap to employ. If you run a mechanized farm, you will need also machineries and operators. A large number of weeds both annuals and perennials infest plantain plantation. Weed control is very important, most especially in the early months after planting before plants produce enough leaves to shade out the weeds. Management of weeds may take as much as 40% of the total cost involved in the plantain plantation. The traditional method of controlling weeds is by cutting or pulling out the weeds, or employing a labourer to do so. For your plantains to grow well, it is important to care for it. It must be watered regularly and fertilized at least once a month. When choosing fertilizers, NPK fertilizers or fertilizers with Nitrogen, potassium and phosphorus are recommended. Another way to fertilize the soil and sustain its rich quality of the soil is to throw plantain dead leaves back into the soil. It is important to protect the plants from strong winds. Plantains do not need constant pruning. Removal of dead leaves and dead plants is enough. If the plantains are properly cared for, they will be ready to reproduce within 8 – 10 months of planting. The beautiful thing is that while one is getting mature for harvest, another one is replacing it. All you do is harvest and reap your profits all year around. It is very important to make plans for harvesting your plantains, otherwise it will get ripe and rotten and that will be a loss to you. You must master the cycle of plantain farming, so that you harvest and market at the right period. Plantain is a reliable, all season, stable food. In Africa, plantain provides more than 25% of carbohydrate required for over 70 million people, thus there is a large market for plantain business. You can market your plantain to food processing companies, or plantain retailers. You can also establish a plantain processing company alongside running the plantain farm. The fact that plantains are consumed by many people makes it a profitable venture. It is important to develop a good marketing strategy for your plantain farming business, if you indeed want to maximize profits in the business. As soon as your payment has been verified. What is the cost estimate for starting a plantain farming on two hectares of land?